Attack 1 : FREE POKEMON!!!!! 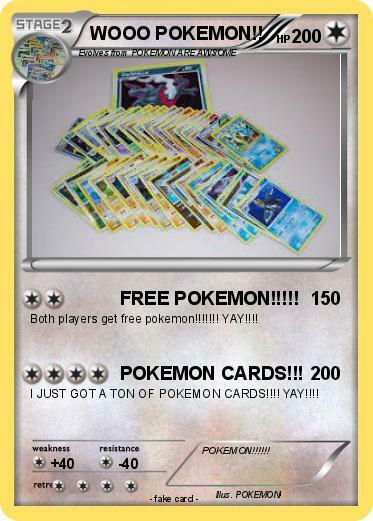 Both players get free pokemon!!!!!!! YAY!!!! Attack 2 : POKEMON CARDS!!! I JUST GOT A TON OF POKEMON CARDS!!!! YAY!!! !